As a gardener, you know every year that as soon as winter has left, you are on the clock. What do I mean by that you would say? You will have limited time to accomplish what your goals are with your garden. Everything will be limited by the weather that you need to work with. You can’t control the elements; you can only learn to work with them to your very best ability. In this article we will be discussing how to best prepare yourself for these elements, the changes they bring, as well as how to best work with the weather changes, to produce the best garden you possibly can. Everything from working with the moisture content (rain) to the amount of sunshine will be covered. You will find an instrument station of your choice will be the very best tool for doing all of these things. You can have a very plentiful crop of vegetables from your own garden. It can be you who can compete for the best garden in the neighborhood. With gardening there are several things that pop up all the time, many times as issues that wouldn’t have been issues at all with the proper planning. So what am I referring to? One can look at certain facts that you are dealing with, when you put a garden in, on your land. Other minor things that you will deal with are soil types, your work schedule and when you will have time available to do the work necessary to complete-also the type of tools you will need, and the types of plants you wish to be growing and harvesting this year. A planting season is how many days in a year that you will have the opportunity to grow vegetables and flowers in the area you live in. This is determined to be the days between the last overnight frost in the spring and the first killing frost in the fall. This is the period of time that plants will be able to grow and flourish. How a plant reacts to dramatic temperature changes-be them up or down-to various rainfall amounts, to being in bright hot sun rays as well. The reaction to high winds could also be something here as well. How the plant reacts, and/or responds bounces back from adversity. It is a scientific instrument, which is used in the study of meteorology to measure the atmospheric pressure. The tendencies in air pressure changes are used to make short term forecasts. Barometers used by a remote sensor houses of a climate instrument station, add a certain validity to how solid a station can be depended upon to give the owner a much used instrument reading. The barometric pressure changes are recorded and are used to heavily influence future daily forecasts for an area geographically. A hygrometer is a scientific instrument used by the station, to collect and measure just how wet the air is in your living location. Humidity measurement instruments usually rely on other measurements of quantity such as changes in temperature and air pressure. 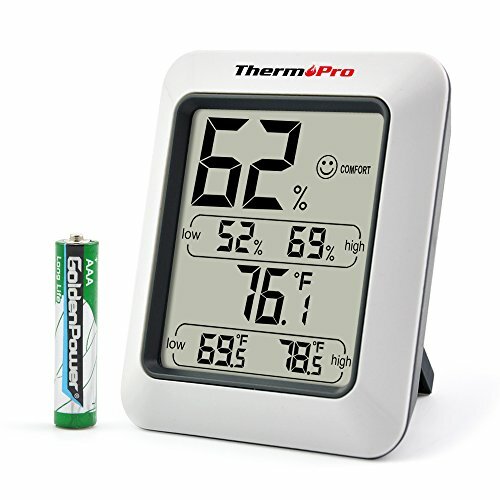 A hygrometer does measure the amount of relative humidity in the air, then it calibrates this along with the other aforementioned instrument indexes, plus it mixes into the measurements such things as the dew point to come up the hygrometer, relative air comfort readings. All of this is a simple way of letting you know how comfortable your air is. Let’s take a look at what is really important to the gardener. Any experienced gardener will tell you, the following items are tops on his list. After we spell out the list for you then, we will explain just how it is that a weather station can help the gardener out with his list of worries. He must pick out what it is he or she wishes to plant this year. After this has been done, then the logistics of where each plant will get planted his high on the list. It will matter highly where a plant is located in the garden. A successful growing season depends on the yield of the plants. Simply put, how much of each vegetable you get to have for food for you and your family. Taller plants will be on the side of the garden where the smallest shadow will be cast on the least area of the garden. This will maximize the amount of sunshine available to all the plants you are growing. You must plan for drainage of excess rain water or the lack of precipitation. Make sure all smaller plants will be getting as much sunlight as possible, plus make sure if your garden has a slope of the land that the small shorter rooted plants are not going to be getting hit by maximum runoff of water, and dirt from heavy rains. Deeper routed vegetables like corn, and squashes, beets, radishes, should be planted at the lower end of the slope, so the rain and silt running down at them will least damage them. So where does the meteorology instrument station come into play with these concerns? The gardener will benefit greatly if they have information presented to them daily. They can be aware of what is going to be happening outside so they are prepared to help the garden out, by giving it the best care possible. Consistent and always updated temperature information will be provided by your station. At a quick glance, you will know if it is getting very hot, and you also know there is no rain in the forecast. You notice you will need to water your garden. Usually this will be done in the absence of direct sunlight. It is getting very cold out, and you are able to set up the temperature alarms on the station to let you know about a potential freeze. That way you can save your plants from the potential freezing damage. Your station provides a forecast for the next day. The forecast provided, will be calculated from a history of your station’s calculated barometer and hygrometer readings, along with the temperature, to get a forecast for you. The next day is Saturday. Usually you do your main gardening, weeding, etc., on Saturday. But the forecast is for rain all day on Saturday. You will be home from work at 4:00 pm and it will be daylight until 9:00 pm. So you know you will have to get your weeding done this evening, because you will not be doing any weeding in the rain tomorrow. The daily climate elements station was very useful to you in this instance. Without it, your choice would be to get up Saturday morning and see that it is raining, or on Friday morning, you would have to try to find a reliable local forecast to find out what the weather will be on Friday evening and Saturday. You may not have the time before you go to work to do this. You find it is much easier, and a time saver, to just glance at your station’s display before you go to work in the am on Friday. One day when the weather is nice and you haven’t had much rain lately. You walk by your station’s display and with the wind speed reading showing it is a windy day. This wind speed reading came from the wind speed outside at your remote sensor. It was measured by the stations anemometer. The anemometers reading will alert you to a windier than normal day. Your response is that you plan to get out to the garden to water the plants. You realize that the wind will be causing accelerated water evaporation in the plants, and that they will need to be watered more today. You will need to understand the hardiness level of your plants in deciding when and how much to water. Again this will help keep your plants alive and producing to the max. These are just a few scenarios that show you just how useful having a weather station of your own can be to you, the gardener. In summation you can see that with the many involved details of growing a good garden, and maximizing your vegetable production, you can use all of the help you can get. We realize fully that there are amateur gardeners who would benefit from the simpler, weather stations. These station would that provide basics like temperatures, and relative humidity and a 12-24 hour weather forecast. These are basic things that would definitely benefit the gardener. We also realize that there are very highly interested and educated daily climate fans, who are also avid gardeners, who don’t just grow basic vegetables, but they have chosen to grow more involved vegetables, that in their climate can be grown successfully, but only by an expert gardener. An expert gardener’s best friend, would be a much more involved weather station. One that does provide, the temperature, the wind speed, The barometric pressure, a hygrometer, and much needed climatology data that is being recorded for analysis, and study by the gardener. The selection of stations is great, ranging from simpler (display model centered) reporting stations like the Acurite 75077, or the La Crosse S88907, to the much more involved AcuRite 01036. The AcuRite 01036, has many more instruments and thus much more data that is presented. As you can see in our thorough reviews these models possess many great benefits to a gardener. So gardening can truly be improved by using a elements station as a tool to help you plan out your activities better. The mental health of a colostomy patient was as far from my thinking as east is from the west. It just never occurred to me that the mental health of a colostomy patient was that big a deal. Farming depends heavily on weather. So as a farmer you need the best possible weather information. Learn how to get the best information. Growing your own food successfully is a constant process of learning which techniques work best for you and your plants. Often simple bits of advice from other gardeners can help provide shortcuts to achieving success in your garden. Weather Stations help gardeners quite a bit. With the cost of food going up today, fresh produce is very welcomed on your dinner table. Grow a better garden with the guidance of a personal weather station.